Always a customer favorite, we’ve gathered up beauties in red, green, and white and put them in our wire basket, providing a perfect present to send as a seasonal surprise or give to your holiday host. 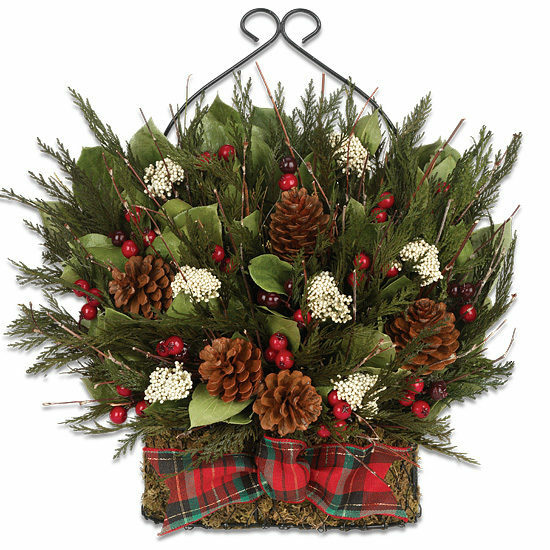 A bed of natural salal sprouts several cheery gifts – rice flower, pinecones, cedar, faux red berries, and wispy twigs – all tied with a festive plaid bow. Will stand alone or can be hung on a wall.